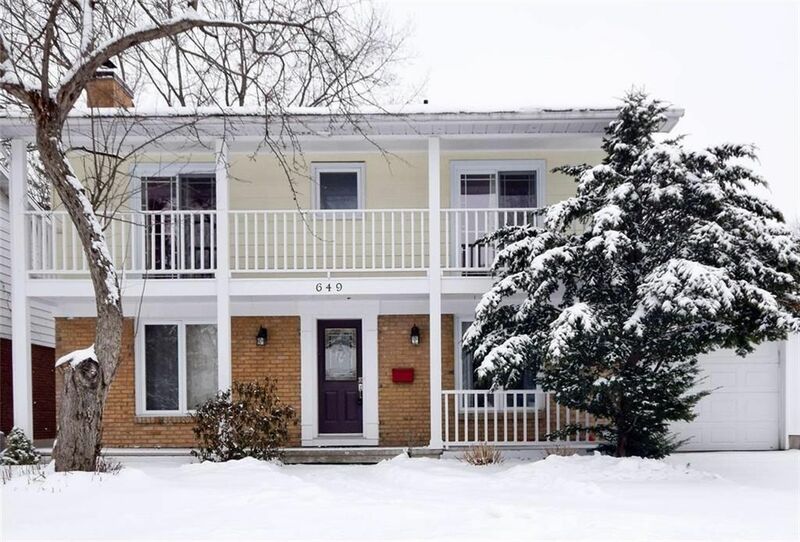 Prime location in the heart of the neighbourhood with winding streets & mature trees. Contemporary flare enhances this impressive remodeled updated Minto 2 storey 4 bdrm home w/attached garage. Elegant living room radiates hospitality & charm with stone f/p. Custom dream kitchen (2017) - completely remodeled & designed for people who love to cook & entertain at the same time! Modern white cabinetry, breakfast bar, granite counters, s.s appliances, gas stove. Patio doors to large deck extends your living to the outdoors. Wonderful view of the garden from the dining room. Relax in the main floor family rm/den. Updated powder rm. Master bdrm retreat w/patio doors to balcony & new ensuite bthrm. Remodeled 2nd bdrm (originally 2bdrms). 3rd bdrm has access to the balcony. 4th bdrm w/ build in desk. Main 4 pc bthrm. New oak staircase opens to impressive large family/media rm. 3 pc bthrm w/shower & heated floors. Landscaped treed garden with 2 level deck. A GEM!